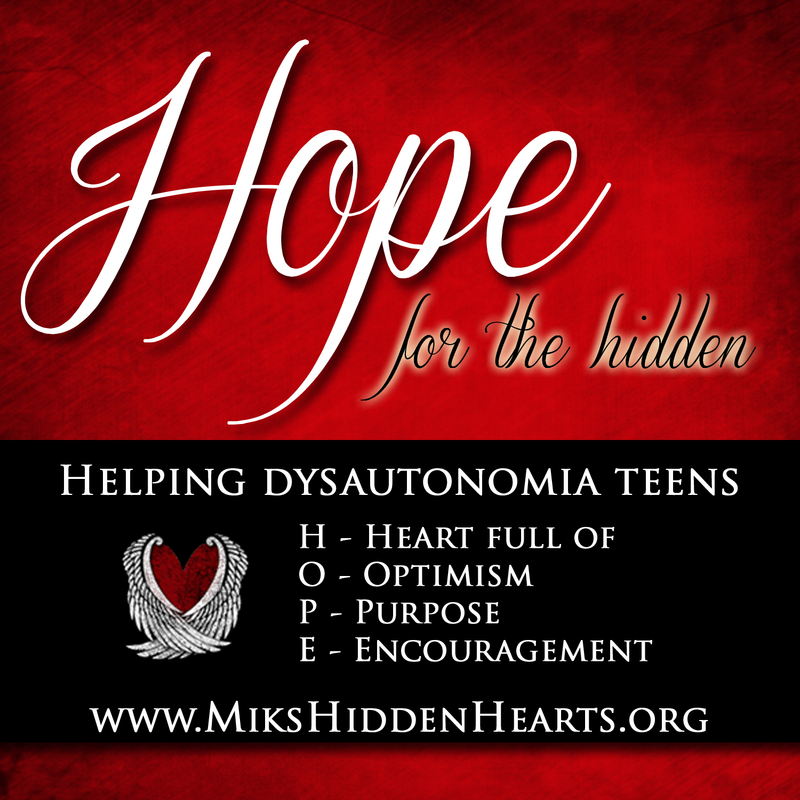 Dysautonomia Teens: Can’t Miss Socials & Events added to our calendar! Join us! From Boo Bash to Outreach Meetings to our Christmas Potluck Party – we are a welcoming group to all teens with Dysautonomia and other hidden illnesses and their caregivers. Do not know anyone yet? You will definitely leave with new friends! 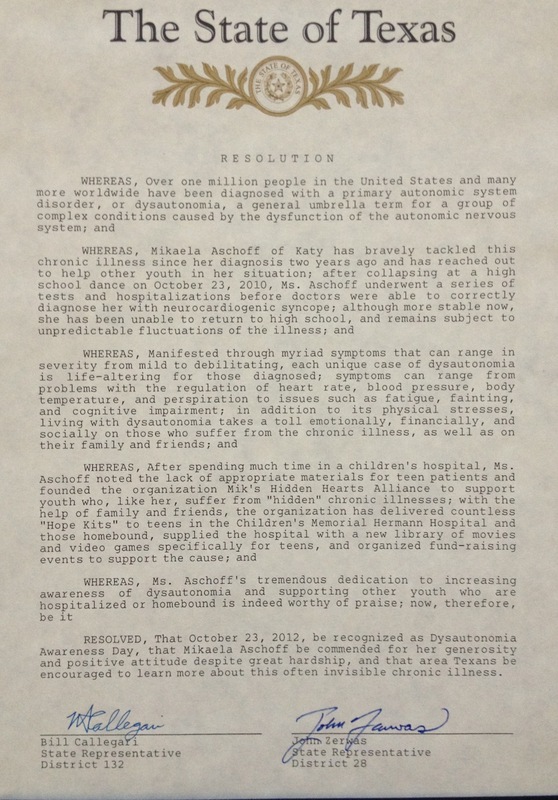 Outreach and Social for Dysautonomia Teens and their Caregivers – NEXT week! Upcoming Events: Outreach for HOPE Meeting July 8 and MHHA The Woodlands Chapter Social July 12. JULY OUTREACH FOR HOPE MEETING: Our Outreach meetings are NOT your ordinary “meeting”. Part support group, always welcoming social event and learning opportunities are combined! 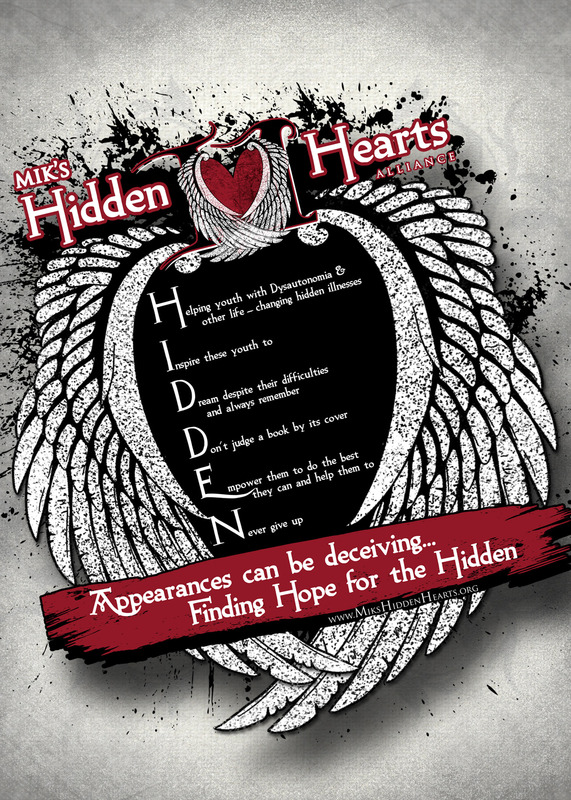 What is Mik’s Hidden Hearts Alliance reoccurring theme for each meeting? It’s HOPE! Chronically ill teens and their caregivers: Join us this upcoming Monday and discover more ways to learn to work with your illness and grow! This month’s theme is “Have a Dream”. Activity and snacks provided. Our meeting will include a thought provoking lesson and will give an opportunity for the teens and caregivers to have some “separate” time to have free discussion. Description Join us every 2nd Monday of the month at 2:00pm at the Chapelwood United Methodist Church for our Outreach Meeting for teens with Dysautonomia (and other chronic life changing illnesses) and their caregivers. Save the Date for JULY Social! – MHHA Woodlands Chapter Social for our hidden teens and their caregivers will be on Friday July 12 at 1:00 at Panera Bread on 242-College Park in The Woodlands (map). As always, our socials are come as you are! Open to non Woodlands families too!